Is our HOA Required to Allow Artificial Grass? Asked – Our HOA’s Architectural Committee received an application for a homeowner to install artificial grass in their front yard. Does Civil Code Section 1353.8 (Use of Low Water Using Plants) require us to approve it? Answered – No. Civil Code Section 1353.8 renders void and unenforceable any restrictions in a HOA’s governing documents that prohibit the installation of low water-using “plants.” Artificial grass or synthetic turf is not a plant, but a synthetic material designed to look like grass. 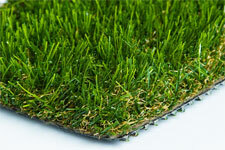 HOAs may authorize the installation of artificial grass/synthetic turf, but they are not required to. Before deciding to authorize artificial grass, the Board will want to check local ordinances for any restrictions, and develop guidelines for such characteristics as color, pile and weight, toxic materials, permeability, water absorption, and drainage. Additionally, even where artificial grass is permitted, a HOA may still set standards for its appearance and quality, and thus require a homeowner to submit a sample of the artificial grass as part of the homeowner’s architectural application.